Food with family and friends is one of life’s pleasures. Whether you’re getting busy with the spices and putting together a feast of complex flavours, or rustling up a simple supper, a remodelled kitchen will make the whole cooking and dining experience more enjoyable — for everyone. If you want to upgrade your existing oven, we can install a new one, plus a sleek state of the art induction hob and we have gas hobs covered too, along with microwaves and warming drawers — all from trusted, well-known brands. 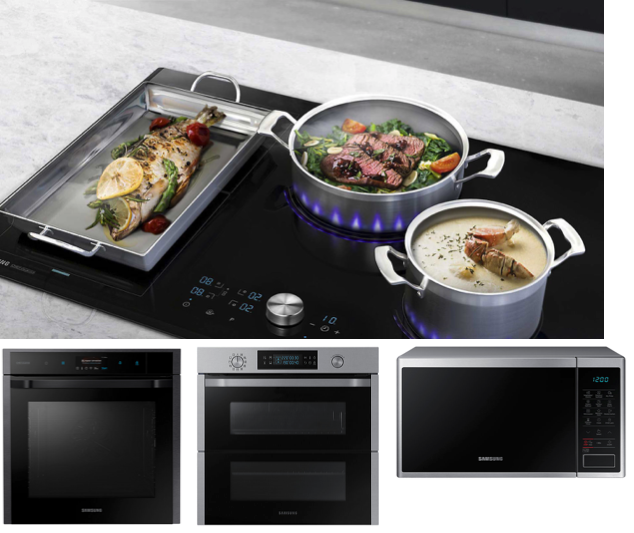 Our cutting-edge cooking appliances are designed by the leading manufacturers for people who want eye-catching style and great results with the minimum of effort. Hi-tech LED displays and smart technology can all be incorporated for maximum ease of use and convenience. Quite simply, we have all the ingredients needed to take your kitchen from drab to delicious.